Motherwort (Leonurus cardiaca) is an herb in the mint family. It is used as a remedy for female reproductive disorders. For instance, it's purported to help regulate menstrual periods, especially when someone is anxious or tense. Another prominent use for motherwort is as a tonic for the heart (especially heart palpitations), as the Latin word cardiaca ("for the heart") indicates. Native to central Eurasia, the hearty herb has now spread to North America, both as a garden plant and as an invasive weed. 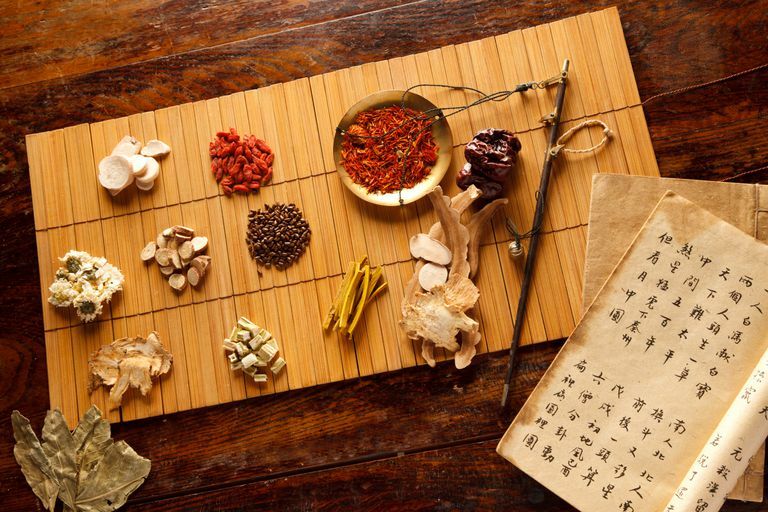 In herbal medicine, its leaves and flowers are used. Motherwort is also available in dietary supplement form. In addition to being a source of antioxidants and anti-inflammatory compounds, motherwort contains leonurine, a compound found to promote the relaxation of blood vessel walls in preliminary studies. Interestingly, it's this same substance that's been shown to encourage uterine contractions, lending support to its traditional use in childbirth and as a promoter of menstruation. Although motherwort has long been used in several systems of traditional medicine (including traditional Chinese medicine), few scientific studies have tested the herb's health effects. Still, some preliminary research shows that motherwort may offer certain health benefits. Here's a look at several key study findings on motherwort. Preliminary research shows that motherwort may have cardiac-protective abilities. For instance, it's been shown to relax heart cells and to help prevent the blood clots that cause heart attacks. One study from 2012 showed that leonurine acts as a very weak type of calcium channel blocker, a drug that results in lower blood pressure. And research from 2014 showed that the antioxidants in motherwort can help protect the heart from damage. Germany's Commission E, the country's counterpart to the U.S. Food and Drug Administration (FDA), has authorized motherwort for the treatment of heart palpitations occurring with anxiety attacks or other nervous disorders, as well as part of an overall treatment plan for an overactive thyroid, a condition that also causes irregular heartbeats. So far, few scientific studies have looked at whether motherwort can help people with anxiety. A small study published in Phytotherapy Research in 2011 included 50 people with high blood pressure and related psychological issues (such as anxiety). After 28 days of treatment with motherwort, 32 percent of participants showed a significant improvement in symptoms of anxiety and depression, while 48 percent of participants showed moderate improvement. There was also an improvement in blood pressure. Motherwort may help curb inflammation, according to a study published in Immunopharmacology and Immunotoxicology in 2009. In tests on human cells, scientists determined that motherwort slowed up the release of a number of pro-inflammatory compounds. Given this finding, the study's authors concluded that motherwort may help control inflammatory diseases. The research is preliminary, however, and these findings don't mean you'll experience the same results if you consume the herb. Unlike many other herbs in the mint family, motherwort doesn't smell or taste good and is classified as a bitter herb. Still, some consume it in tea form, sometimes with a flavoring like sugar, honey, or lemon to disguise its unpleasant taste. A tea can be prepared by steeping one to two teaspoons of dried herb per cup of boiling water. Steep for 10 minutes. Three cups of the tea may be consumed daily. In a tincture, a concentrated liquid herbal extract, a half to three-quarter teaspoon can be taken three times a day. Many natural-foods stores, drugstores, and stores specializing in dietary supplements sell these motherwort products, as well as capsules and tablets. You can also purchase motherwort supplements online. In addition, when applied to the skin, motherwort may increase sensitivity to the sun and boost the likelihood of sun damage. Since so few studies have tested motherwort's health effects in humans, it's unknown whether this herb is safe for long-term or regular use or how it might interact with medication or other supplements. As motherwort affects heart rate and rhythm, it should not be taken with other medication without discussing it first with your doctor. It's also important to note that using motherwort in place of standard care in the treatment of a heart condition (or any other health condition) may be harmful to your health. Keep in mind, too, that dietary supplements haven't been tested for safety and are largely unregulated. In some cases, the product may deliver doses that differ from the specified amount for each herb. In other cases, the product may be contaminated with other substances, such as metals. Also, the safety of supplements in pregnant women, nursing mothers, children, and those with medical conditions or who are taking medications has not been established. Castleman, Michael. "The New Healing Herbs." Motherwort. Chen CX, Kwan CY. Endothelium-independent vasorelaxation by leonurine, a plant alkaloid purified from Chinese motherwort. Life Sci. 2001 Jan 12;68(8):953-60. Xin H, Gu M, Wang WW, et al. Effects of leonurine on L-type calcium channel in rat ventricular myocytes. Biol Pharm Bull 2012;35:1249–1256.